Adult immunization rates are very low in New York State and many adults do not know that they need immunizations. A strong provider recommendation is the number one predictor for patients receiving needed immunizations. 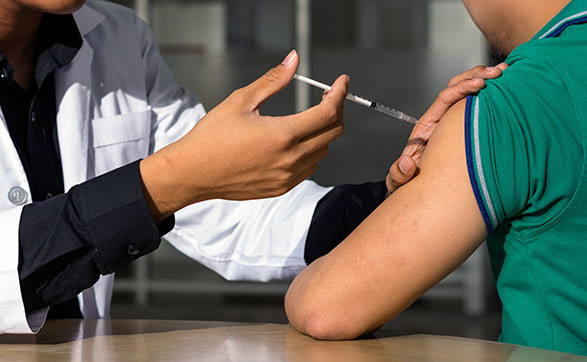 This webinar will provide education for healthcare providers and public health professionals on the Standards for Adult Immunization Practice developed by the National Vaccine Advisory Committee, strategies for implementation of the standards, as well as the safety and efficacy of adult immunizations. Describe the status of adult immunization rates in the United States. Explain the Standards for Adult Immunization Practice. Identify Strategies for Implementation of the Standards. Explain the evidence supporting the safety and efficacy of immunizations for adults. Please check back for information on CE Credits.